Gay and trans students: Why can’t we donate blood? Just one pint of blood can save three lives. 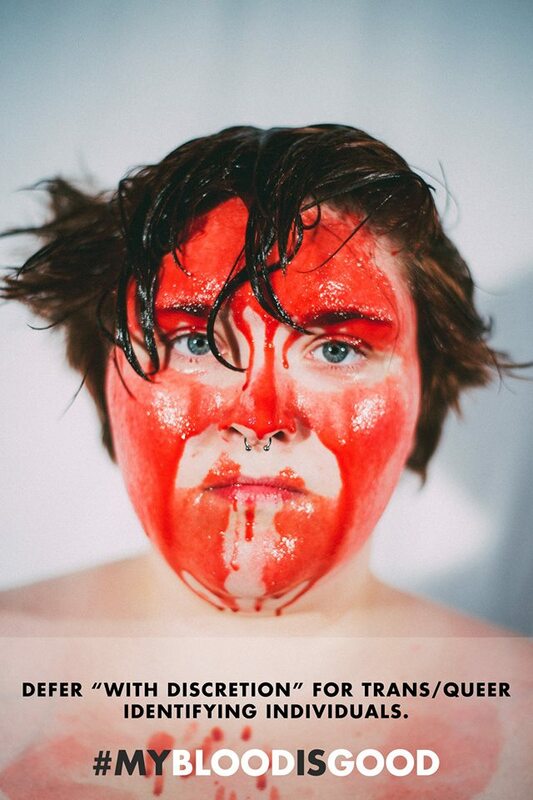 Ithaca College students have started a photo campaign protesting the discriminatory FDA guidelines and regulations on donating blood. During Ithaca College’s Color Week Kyle James ‘16 came up with this idea after being turned away from donating blood at an on campus blood drive in April. He couldn’t give blood because of his sexual history at the college celebrating the LGBTQIA+ community. Just one pint of Kyle’s blood could save three lives, so why couldn’t he donate it? The FDA blood donor regulations allow the organization to turn away members of the LGBTQIA+ community for safety reasons, mostly to prevent the transmission of HIV. 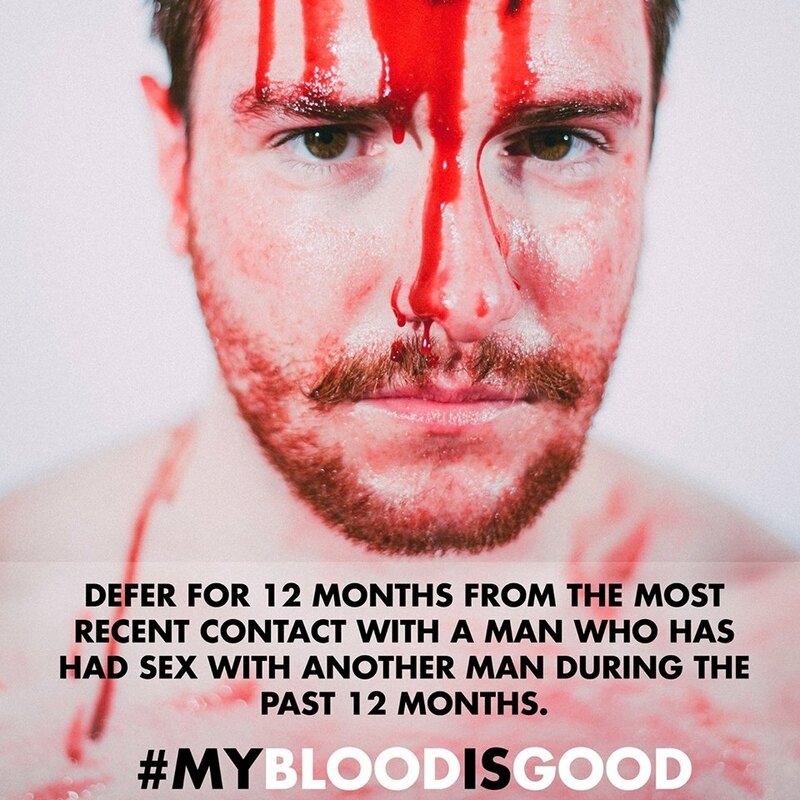 James realized he could not donate his blood and save lives because the guidelines prohibit males who have been seuxually active with another male in the past 12 months to take part. “There are four groups of people that could be discriminated against when donating blood,” James said. “Heterosexual women, people with tattoos/piercings, transgendered people and the LGBTQIA+ community”. James recruited fellow classmate and photographer Marlowe Padilla ‘16 to get the My Blood Is Good campaign on the road. With buckets of fake blood symbolizing good blood being wasted and a few friends, the team set off to start a movement and have their message heard. 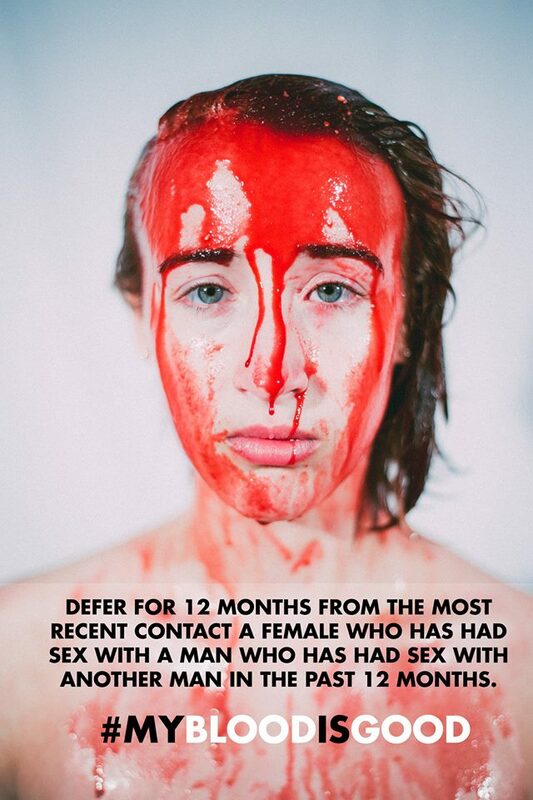 The campaign and photos of the bloody Ithaca students went viral after the mass shooting at a gay nightclub in Orlando, Florida on June 12. Members of the LGBTQIA+ community in the Florida town flocked to donate their blood to the victims of the attack, but many of them were turned away due to their sexual orientation and history. The FDA’s blood donor deferral policies have long been criticized for their discriminatory regulations. While the recent change to the guidelines in December 2015 were a step in the right direction, it was not a large enough step for fighters of the cause like James and Padilla.